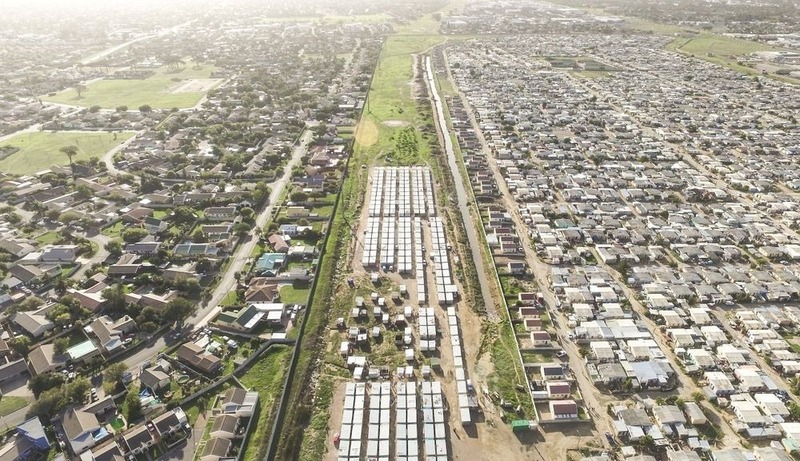 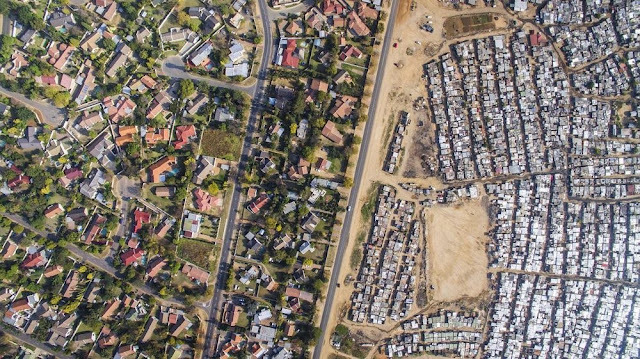 Although South Africa’s apartheid era ended more than twenty years ago, there is still a palpable economic tension between the blacks and the whites. The black majority occupies the bottom rung of the society where they continue to be confronted by deep poverty, unemployment and inequality. 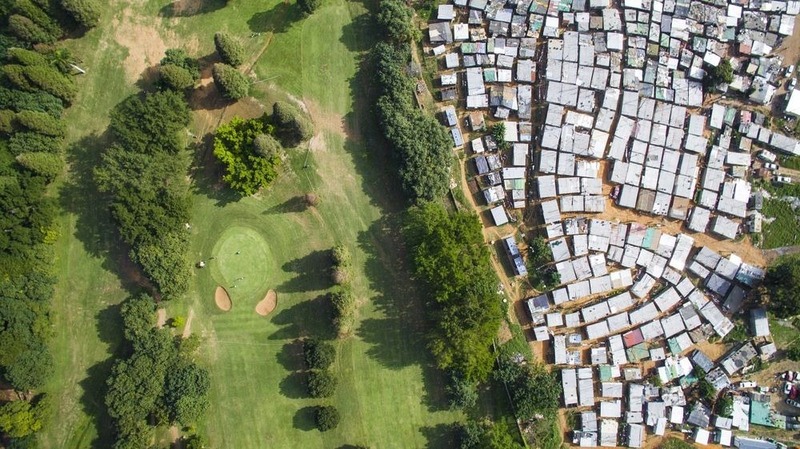 The economic divide gets even more tangible once you get airborne. 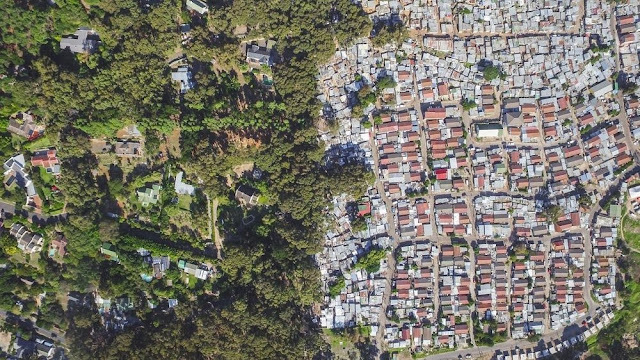 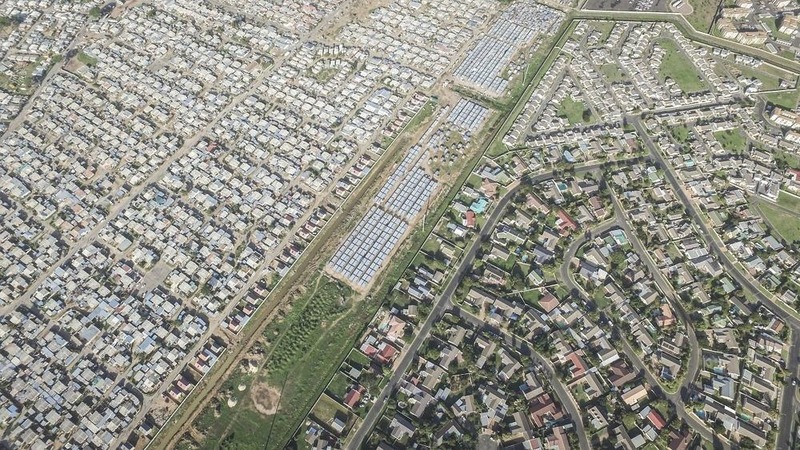 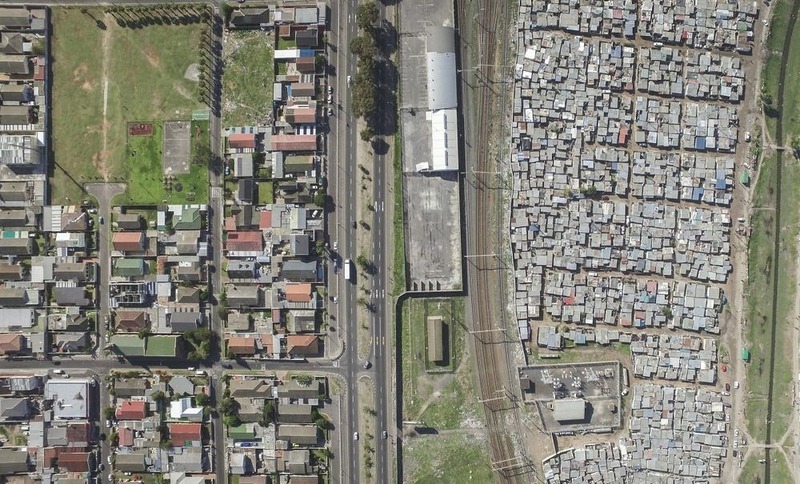 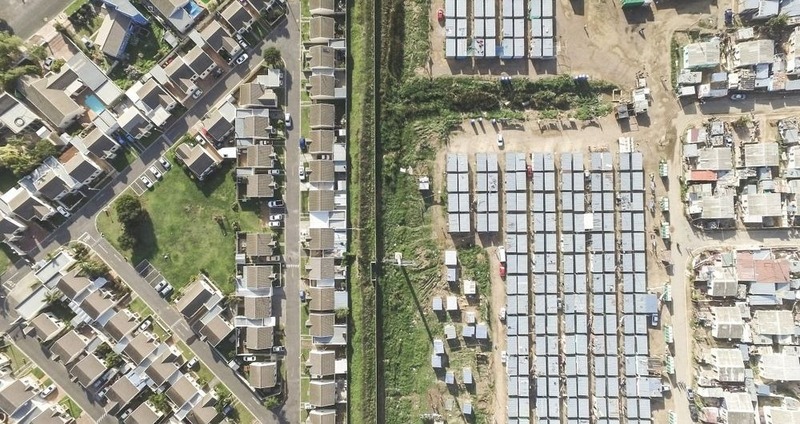 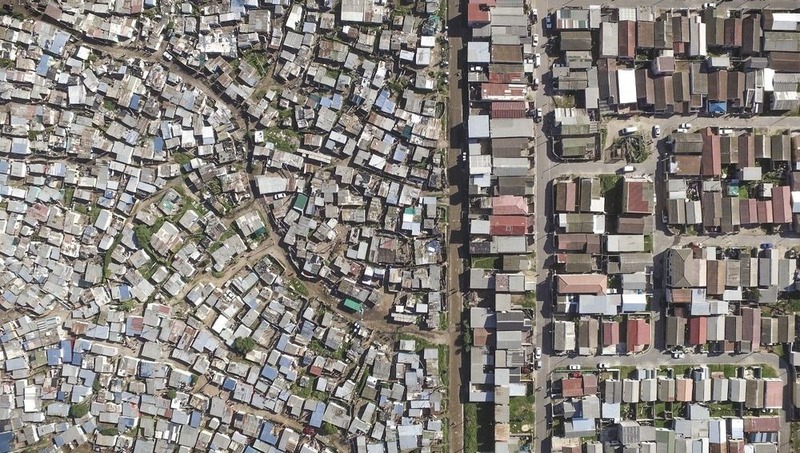 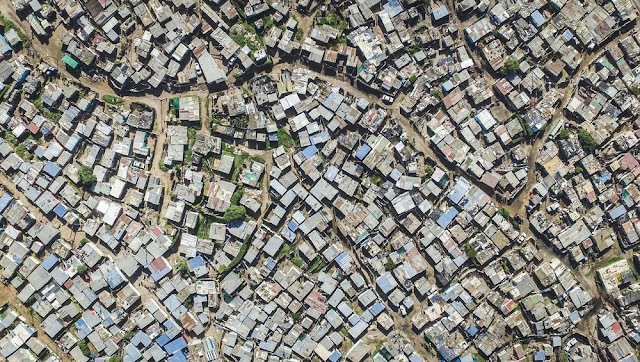 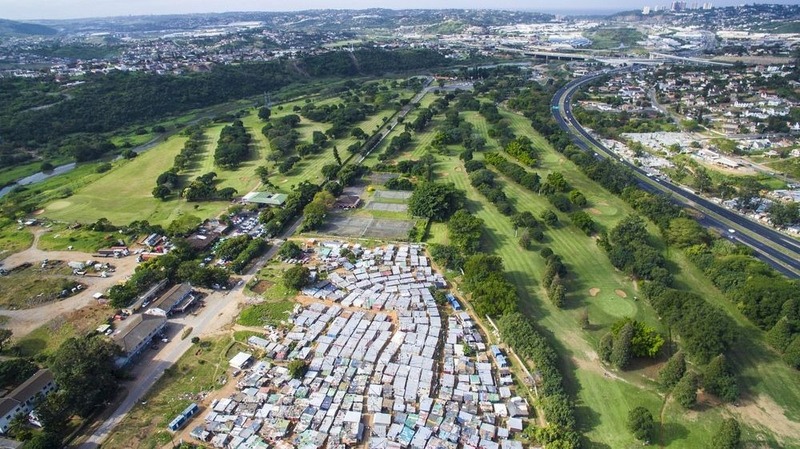 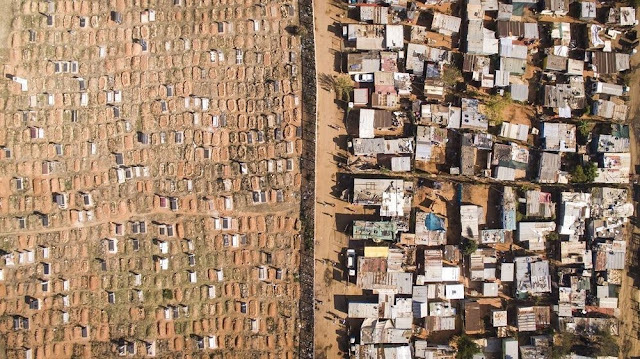 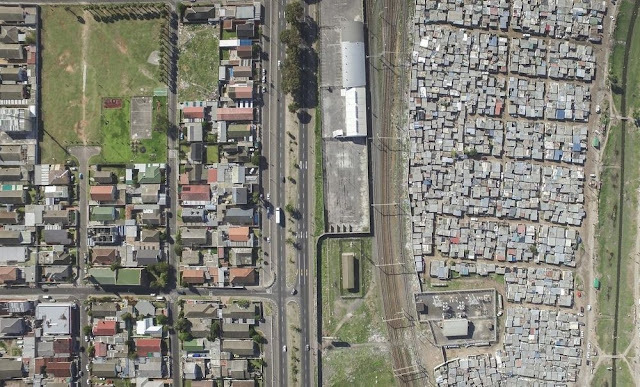 That’s what American Photographer Johnny Miller, who now lives in Cape Town, wanted to capture when he began his photo series “Unequal Scenes”. 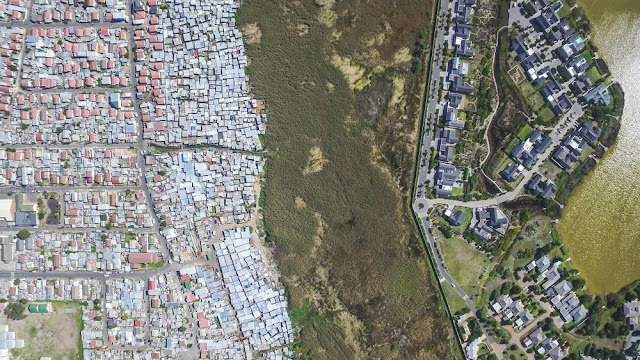 “I wanted to disrupt that sense of complacency that I felt, and that I knew a lot of privileged people in Cape Town feel,” he said.